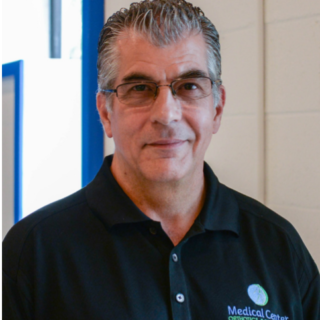 Pat George is an ABC certified CPO with 20+ years’ experience providing excellent orthotic and prosthetic care across the Boston region. He is a born and raised Bostonian, and through his many years of experience has become a recognized leader in Boston prosthetics and sports bracing. In fact, the New England Patriots and Revolution both rely on Pat’s experience and skill in sports bracing to keep some of the world’s most elite athletes on the field. Over the years, Pat has custom fabricated sports braces for a number of prominent Boston sports figures, including Rob Gronkowski and Shaquille O’Neal. Notably, Pat custom fabricated the articulating forearm and elbow brace Rob Gronkowski began wearing on the field in 2013. Pat resides on the South Shore with his wife and 3 children. Outside of work Pat’s passions include travelling, spending time outdoors with family and friends, and fostering dogs.